LG has confirmed its display-focused Q6 smartphone is coming to Canadian carriers on September 28th. MobileSyrup first leaked the news that the handset would arrive at Bell for $449.99 earlier this month. Now, LG has released a full list of carriers, comprising Telus, Koodo, Bell, Virgin Mobile, Freedom Mobile and Videotron. Though LG has yet to confirm pricing, Canadians can expect to see the handset priced within the same $450 range indicated in the Bell document. LG also revealed that the phone will be available in ‘Astro Black’ and ‘Ice Platinum’ at carriers — though the Bell document we obtained states it will only have the platinum colour variant. 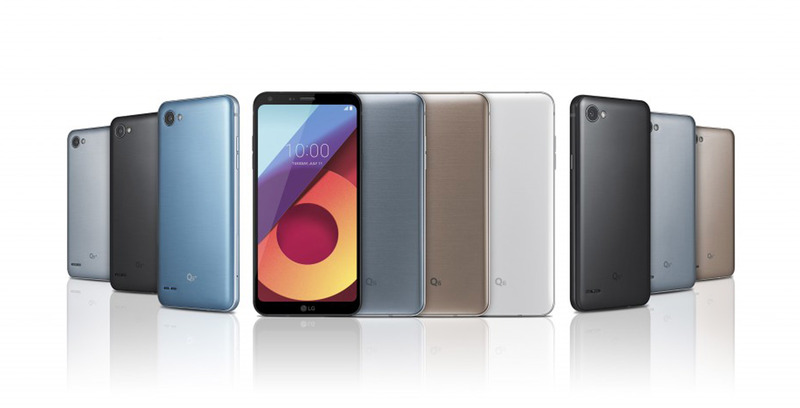 The Q6 is LG’s first mid-range device to feature a ‘FullVision’ display, with a 5.5-inch IPS LCD 1080 X 2160 pixel screen. The handset has no fingerprint sensor on the rear of the device but will rely on facial recognition for biometric unlocking — a feature also available on the V30. The Q6 comes out of the box with Android Nougat 7.1.1. It runs on an 1.4GHz octa-core Snapdragon 435 chipset with 3GB of RAM and 32GB of internal storage. Additionally, the handset is powered by a 3,000mAh non-removable lithium-polymer battery. The Q6’s camera setup features a 13-megapixel, f/2.2 rear shooter with autofocus and an LED flash, while the front-facing camera has a 100-degree, 5-megapixel sensor with the same aperture. “LG takes pride in listening to the consumer and identifying solutions to better address their needs,” said Shelly Walia, brand manager of mobile communications at LG Electronics Canada.